A 2015 government memo shows the government's recent tweet criticizing Saudi Arabia's handling of the Raif Badawi case did not replace back-channel diplomacy. In fact, the Liberals were pressing the matter privately within weeks of taking office with the same Saudi official who is now demanding Canada apologize. The Trudeau government has been bringing up the case of imprisoned Saudi blogger Raif Badawi​ privately at high levels with Saudi Arabian officials since its first weeks in power, documents obtained by CBC News show. A confidential 2015 memo to then-minister of foreign affairs Stéphane Dion was drawn up by officials in his department to help him prepare for a meeting with his Saudi counterpart, Adel Al-Jubeir, on December 17, 2015, just six weeks after the Liberal government took office. The memo, which is redacted in several places, was obtained in March 2016 by CBC News through Access to Information. It contradicts the accusation from some quarters that the Trudeau government has used "Twitter diplomacy" instead of diplomatic back-channels to try to secure the release of Badawi — who has been in a Saudi jail since 2012 and was publicly lashed in 2015 as punishment for his criticism of the regime. 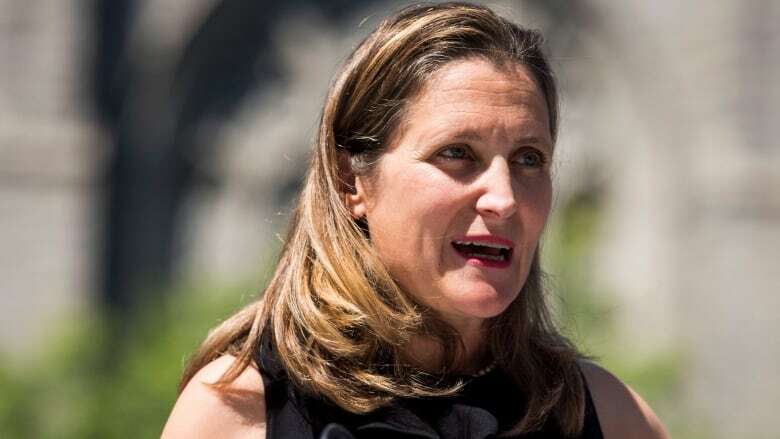 In fact, Foreign Affairs Minister Chrystia Freeland took to Twitter earlier this month to criticize the Saudi government's treatment of the Badawi family only after nearly three years of quiet diplomacy had failed to win his freedom and after the Saudis suddenly escalated the situation by arresting Badawi's sister, Samar. Suspend student exchange and medical treatment programs. Irwin Cotler, former attorney-general of Canada and Badawi's international legal counsel, said claims that Canada violated diplomatic norms by going on Twitter are false. "I think it's unfair," he told CBC News. "This tweet comes at the end of a long process. A lot went on before this. This was not the first expression of Canada's position, and there was nothing new or novel about it." The Trudeau government has been accused by the Conservatives of botching the Canada-Saudi diplomatic relationship by issuing its criticisms through social media. The notes prepared for Dion were intended to provide him with the context behind his first contact with the Saudi foreign minister — the same one who demanded that Canada apologize for the recent tweets. It also lays out the objectives Canada had for the meeting, which was scheduled to last 45 minutes and took place in Dion's Ottawa office. Immediately afterward, the two men sat down to a 90-minute lunch that was also attended by Saudi Arabia's ambassador to Canada. The notes were written by department analyst Emily Haji with input from Canada's current ambassador in Riyadh, Dennis Horak. "The purpose of your meeting is twofold," the notes read, "to establish a working relationship with your counterpart from a key trade and security partner and to discuss important bilateral issues including: human rights [redaction], trade, and regional security, including terrorism and the fight against ISIL." There is a lengthy redacted section in the document that begins: "The case of Saudi citizen Raif Badawi, who was sentenced to 1,000 lashes and ten years in prison." Only Saudi Arabia's role in the wars in Syria and Yemen takes greater prominence than Badawi's case in the backgrounder document. Issues of trade — including Canada's contract to sell light armoured vehicles to Saudi Arabia — rank lower than the Badawi case. Several redactions in the document appear to relate to the case. One, under the heading "Human Rights," says: "[redaction] is of particular interest to Canada, and has attracted significant attention from Canadian media and human rights organizations." Several more of the subsequent paragraphs are blanked out. Under Access to Information Rules, the government must give reasons for withholding information. In this case, the redactions are justified by the government as privileged under the headings of "personal information," "advice to a minister" and "information that pertains to Canada's defence or relations with another state." Dion's meeting with Al-Jubeir was only the first of the Trudeau government's contacts with Saudi Arabia over the case — many of which would end up being made public by the Canadian side. In November 2016, Bandar Bin Mohammed Al-Aiban, president of the Saudi Human Rights Commission, visited Canada and heard about the case from Marie-Claude Bibeau, minister of international development, and Minister for the Status of Women Patty Hajdu. The next day, he heard about it again from Dion. Cotler said both Dion and Freeland "made several representations to the Saudi minister of foreign affairs on this matter," keeping up the pressure that already had been exerted by the Conservatives before them. "This was ongoing, direct, non-Twitter diplomacy by both (the Harper and Trudeau) governments, and by both foreign ministers of the current government," he said. And in April of this year, Prime Minister Justin Trudeau discussed the case directly with Saudi King Salman in a phone conversation — which also was made public. Some critics have said that Saudi officials reacted negatively to the use of the term "immediately release" in the Aug. 3 tweet from Global Affairs. 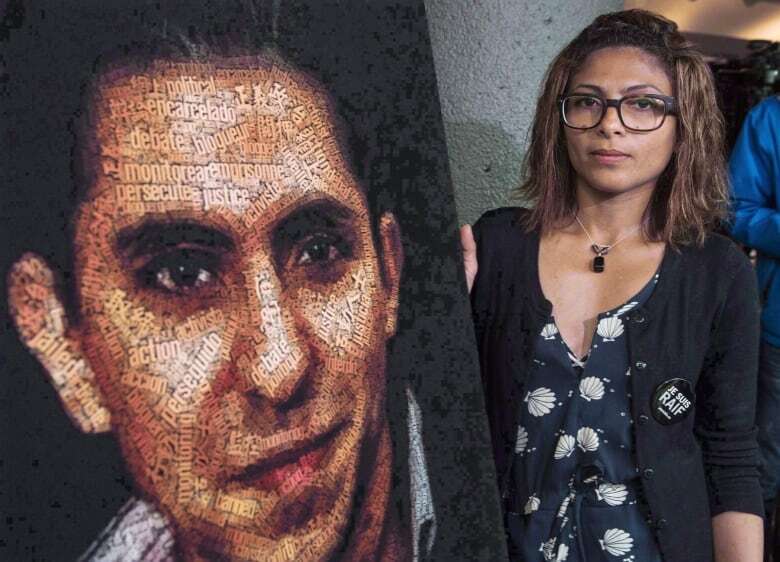 But in April 2015, the Canadian House of Commons had passed unanimously a motion stating "that the House denounce(s) the reprehensible treatment of Raif Badawi, and call(s) on the government of Saudi Arabia to cease his punishment and release him from prison immediately." In its choice of language, the new Liberal government actually took a less confrontational approach to the Badawi case than did the previous government. In a statement made public on Jan. 8, 2015, Andrew Bennett, the Harper government's ambassador for religious freedom, wrote that "the public flogging outside a mosque in Jeddah each week for 20 weeks, with 50 lashes administered on each occasion, is a gross violation of human dignity, which I strongly denounce." What will happen to Saudi students enrolled in Canada? "The punishment being administered to Mr. Badawi is inhumane and is unbecoming of a society which seeks to advance itself within the family of nations," wrote Bennett. Foreign Minister John Baird followed up six days later with his own public statement: "This punishment is a violation of human dignity and freedom of expression." Now in private life and working as a lobbyist, Baird has criticized the current government for making its concerns public. 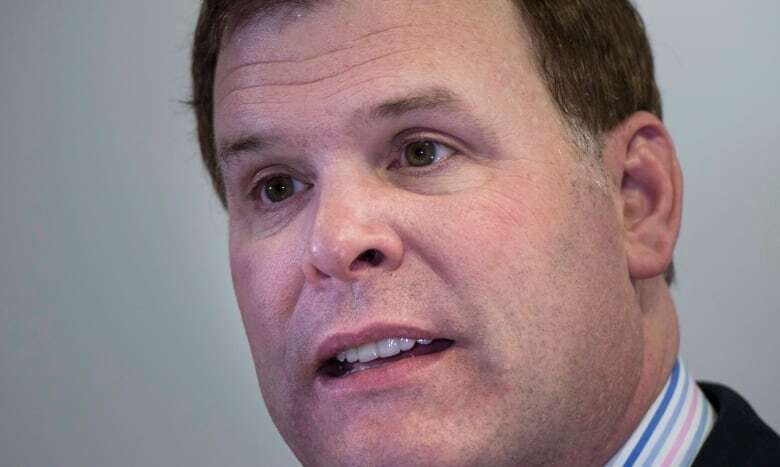 "For Canada to treat a friend and ally this way has been tremendously unhelpful and disappointing," Baird told Saudi state-owned broadcaster Al Arabiya. "We had respectful discussions face-to-face, not hectoring tweets." And yet Baird tweeted himself about the case, calling it a "violation of human dignity." Baird told Bloomberg that Freeland's decision to communicate through Twitter "has obviously caused great damage to Canadian interests." Trudeau has defended his government's approach, saying that "Canada will always speak strongly and clearly in private and in public on questions of human rights." The words are similar to those Baird himself used in January 2015, when he stated: "While Mr. Badawi is not a Canadian citizen, we will continue to make our position known, both publicly and through diplomatic channels." The memorandum prepared for the first meeting between the Trudeau government and the Saudis paints a picture of a complicated relationship at a moment when both countries were deeply involved in the coalition to defeat the Islamic State in Iraq and Syria. Other issues that were on the agenda included a Canadian defence of the government's decision to explore "options for re-engaging with Iran" — an arch-enemy of the ruling Saud family. One government talking point prepared for Dion's meeting, referred to as a "defensive line," stated that "re-engaging does not mean that we agree with the Iranian regime." Dion also was asked to tell Al-Jubeir that "Canada is concerned about the ongoing conflict in Yemen, the severity of the deteriorating humanitarian crisis and the growing number of civilian victims." But Canada also was at pains to paint the relationship in a positive light. One of the key messages Dion was to transmit to his Saudi counterpart was that "our people-to-people relationship is particularly strong, with 16,000 Saudi students in Canadian universities and colleges. We should work to increase this number even more, especially in the medical field." Early this month, the Saudi government announced it would withdraw all Saudi students it has been sponsoring at Canadian universities, colleges and other schools as payback for Canada's criticism. This story has been updated to note that CBC News obtained the ATI documents in March, 2016. 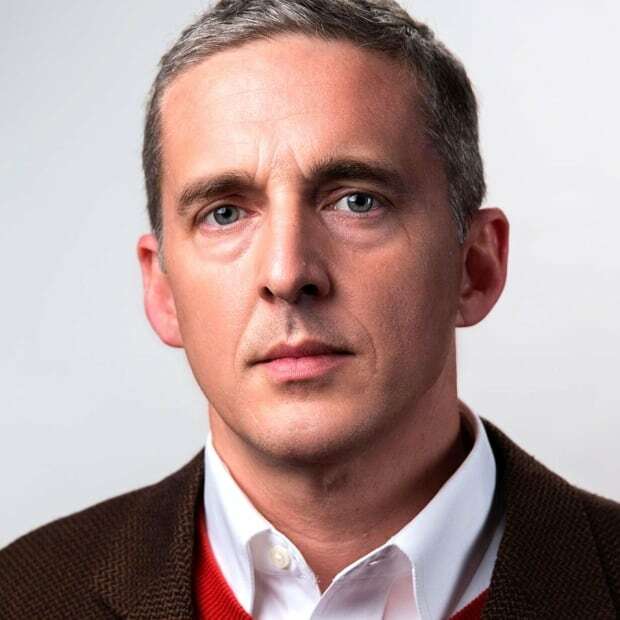 Evan Dyer has been a journalist with CBC for 18 years, after an early career as a freelancer in Argentina. He works in the Parliamentary Bureau and can be reached at evan.dyer@cbc.ca. Is seeking refugee status a good option for Saudi students?